In a bowl add all the above ingredients and whisk well. Make a smooth mix and Make sure there are no lumps. 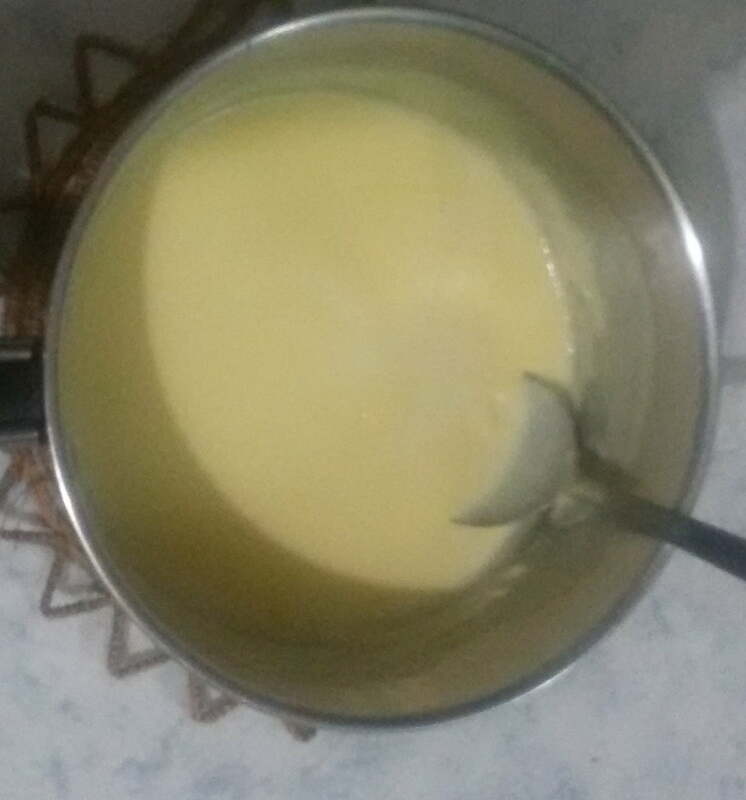 Add the custard mixture into a saucepan and cook stirring continuously until it becomes thick. Heat the water. When start to boil, switch off the heat. 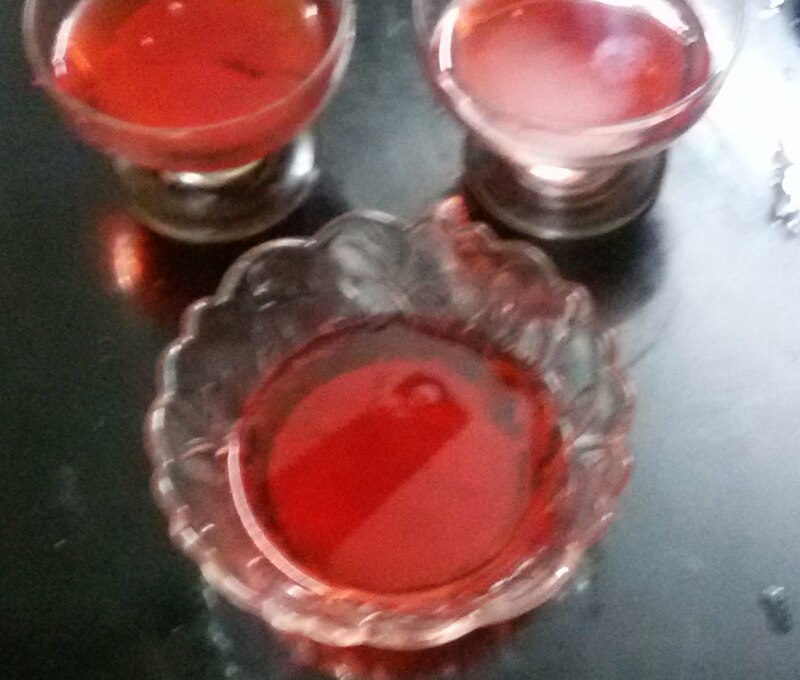 Combine Jello; stir until completely dissolved. (Banana, apple, pineapple, pomegranate, pear, mango. grapes (seedless), strawberry etc). Take a big bowl or 6 small size bowls. 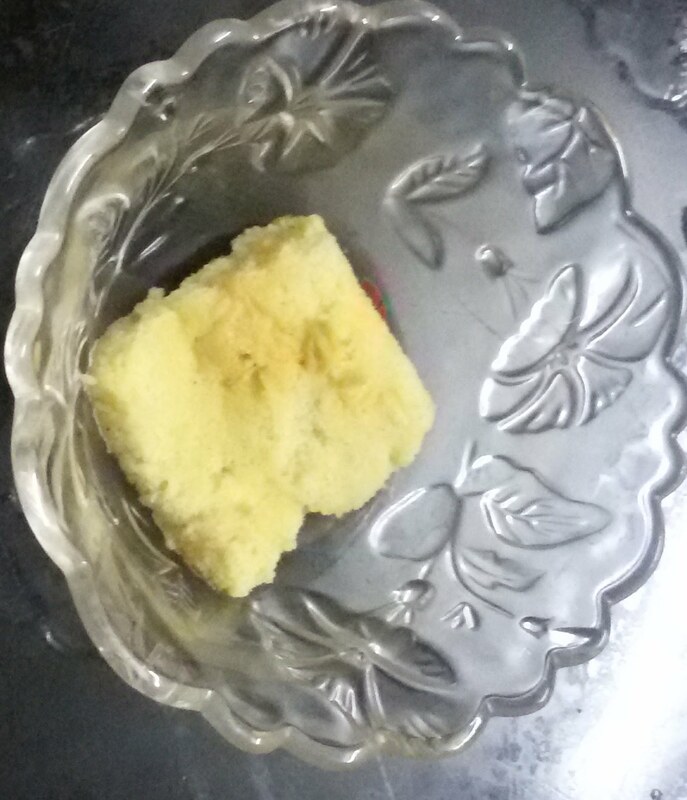 Place cake or biscuit into a bowl and sprinkle 2tbsp orange juice over the cake. Pour 3tbsp warm strawberry liquid jello over the cake and let it cool completely. When the jello become thickens, pour 1/4cup custard over the jello. 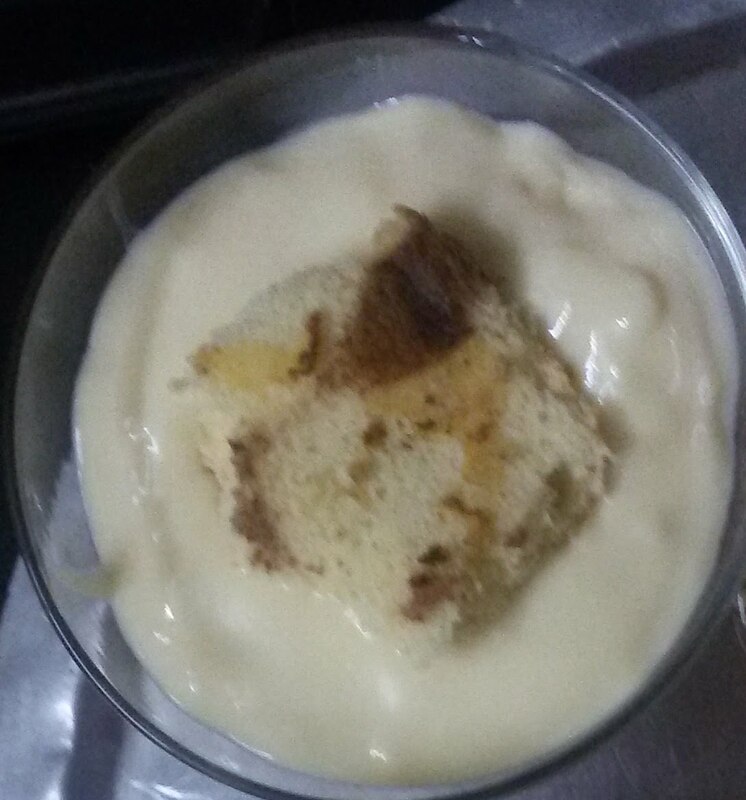 Again place a cake over the custard and pour 2tbsp jello and custard mixture. 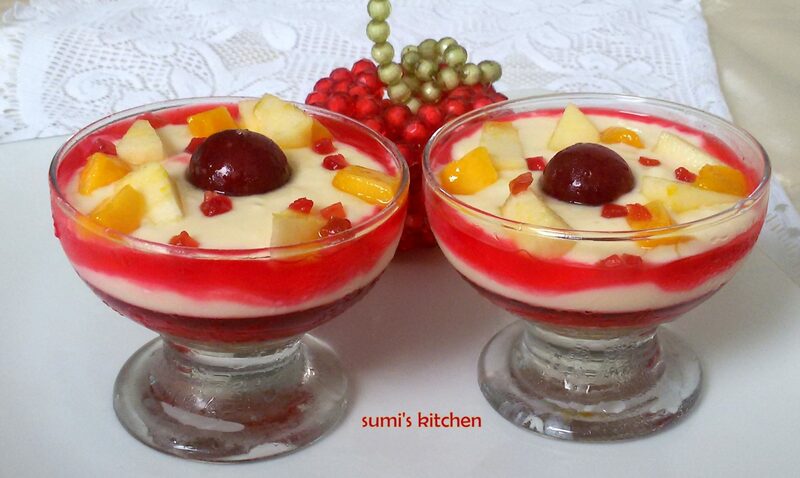 Place some fruits top of the custard and refrigerate it.